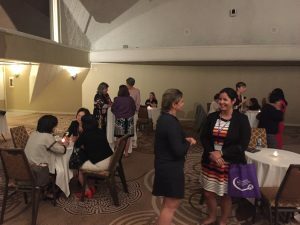 The ICCN (International Conference on Cancer Nursing) was successfully held at Anaheim of California on July 9-12. From more than 30 countries and regions, cancer nurses, scholars and experts gathered together to share evidence-based practice, up-to-date progress and innovative research findings. 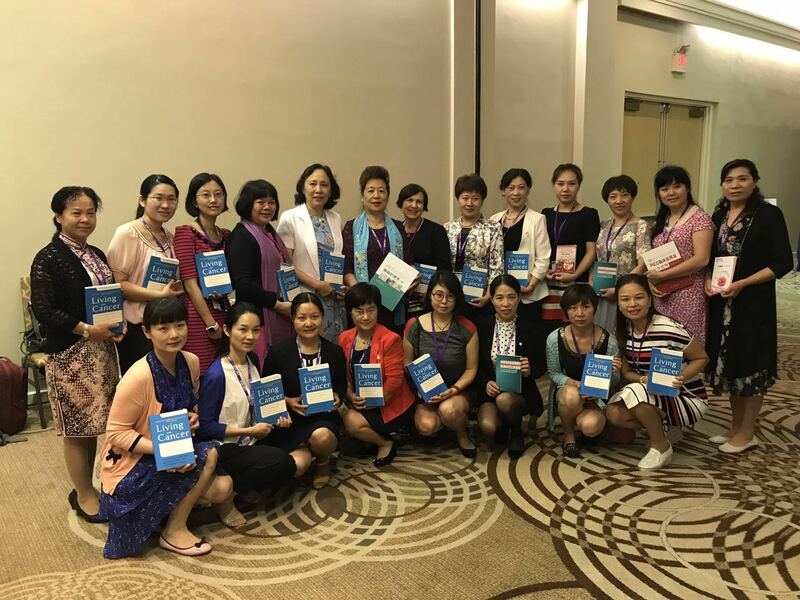 Based on the status of unbalanced global cancer nursing education resources distribution and insufficient cancer textbooks in low and middle-income countries, the Communications Committee of ISNCC launched the book donation initiative. The book donation began immediately after the opening ceremony. The wide range of textbooks covered cancer nursing theories, clinical technologies and practices and research methods. The English books, for instance, Living with Cancer, Cancer and Palliation Care Nursing, Primer of Palliative Care, Putting Evidence into Practice, Advancing Oncology Nursing Science, Oxford Handbook of Palliative Care, Clinical Guideline to Antineoplastic Therapy, etc. were donated to low and middle-income countries. Chinese textbooks including cancer palliative care, cancer care research, and vascular access management, etc., were endowed to cancer nurses from poverty areas in western areas of China including Xinjiang, Guizhou, Guangxi and Yunnan. This book donation initiative was highly appreciated by President Stella Bialous and supported by all the ISNCC Board of Directors. It has received considerable attention from the cancer nurses globally. Through this donation activity, the love among cancer nurses was prevalent, as cancer nursing education resources were shared widely. 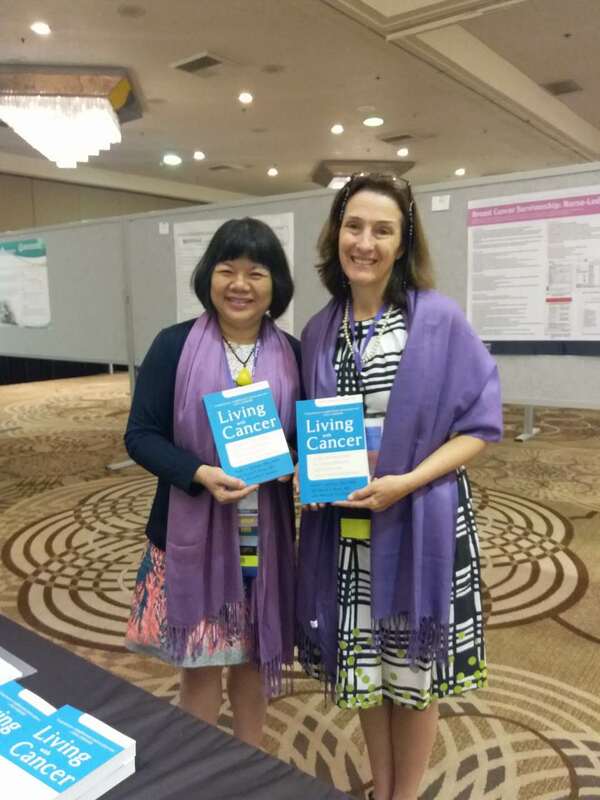 The access to obtain cancer nursing professional textbooks for low and middle-income countries was broadened to promote cancer care development in underdeveloped regions. 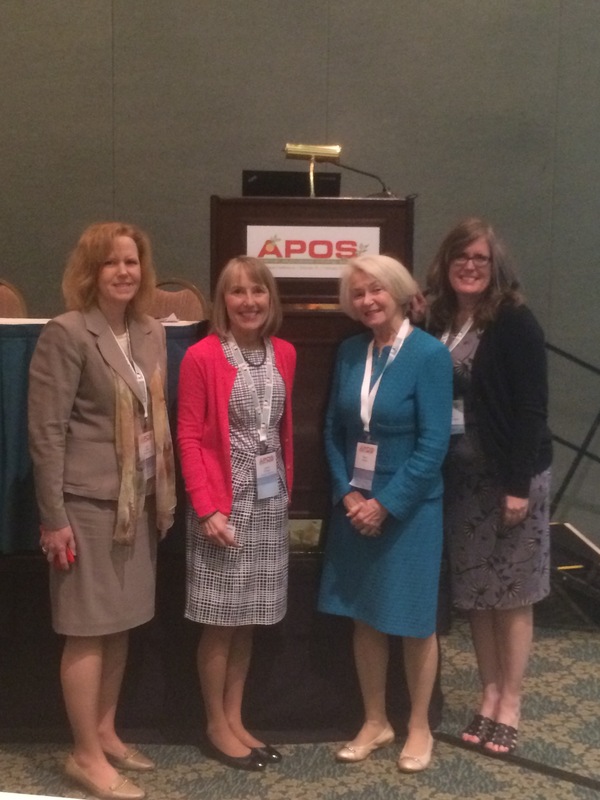 In mid-February, I attended and presented at the 14th Annual Conference of the American Psychosocial Oncology Society (APOS) in Orlando, FL. Attendees were an interprofessional group of 400+ physicians, psychologists, nurses, social workers, and other providers interested in the psychosocial care of patients with cancer – from 44 states and 33 countries. The theme of the conference was, “Across the Lifespan: Achieving Equity in Psychosocial Oncology from Pediatrics to Geriatrics,” and the conference was organized into pediatric/adolescent and young adult (AYA), adult, and geriatric sessions and tracks. In the opening plenary session, Dr. Steve Cole explained “how the brain talks to cancer” through neural regulation, discussing how psychosocial interventions with patients might change the molecular genetics of tumor cells. The term ‘metavivorship’ was used when describing the unique life experiences of young women with metastatic breast cancer. Providers need to be aware of how care delivery changes when a patient turns 18 years old (legal age) during cancer treatment. Some geriatric patients with cancer demonstrate physical resilience and may also psychologically cope better than younger patients. The Pediatric Psychosocial Standards of Care, published in Dec 2015, are in the process of being endorsed by multiple professional groups and are beginning to be implemented in pediatric care settings across the country. In one pilot study, the Internet was used to recruit young adults with advanced cancer for participation in a study that delivered a gratitude intervention. The treatment of severe anxiety, depression, and delirium in children with complex medical disorders is limited because of the adverse effects of many psycho-pharmacologic agents. In the closing plenary session, Dr. Steve Bonanno shared evidence from multiple studies using latent growth mixture modeling analyses that roughly two thirds of us show a resilient response after a diversity of aversive circumstances, such as trauma, divorce, a heart attack, stroke, or a cancer diagnosis. The International Society of Nurses in Cancer Care (ISNCC) is proud to announce our partnership and collaboration with the Union for International Cancer Control (UICC) on the C/CAN 2025: City Cancer Challenge. The C/CAN 2025: City Cancer Challenge is a multi-sectorial challenge which is being led by the Union for International Cancer Control (UICC). The initiative will support cities to lead on cancer solutions. This will include engagement in the design, planning and treatment solutions. The cities will lead on improving the health of their citizens and reduce inequalities in access to quality cancer care. The challenge addresses the need to ensure that functional, comprehensive cancer solutions are available for the majority of the world’s population. In 2015, a set of Sustainable Development Goals (SDG’s) were adopted by 193 Member States of the United Nations with the aim of achieving 17 health, economic, social and environmental objectives. The C/CAN 2025 aims to contribute to three SDG’s. A formal launch of the C/Can 2025: City Cancer Challenge has been held at the World Economic Forum in Davos on the 17th January 2017 followed by a public launch on the 2-3 February in Geneva, Switzerland prior to World Cancer Day. The ISNCC will collaborate with the UICC and the cities to provide expert nursing and cancer nursing advice and development. Andrew Dimech Chair of the Member Development Committee is the ISNCC representative at UICC who will continue to ensure nursing and cancer is an integral component of the challenge. Andrew also has recently contributed as a member of the World Cancer Day Advisory Group. The 2nd National Academic Conference in Oncology Nursing —International Forum in Oncology Nursing was held on March 9-12, 2017, in Fu Zhou, Fujian Province, China. The conference is run every two years by the Chinese Association of Nurses in Oncology (CANO) of Chinese Anti-Cancer Association (CACA). CACA was founded in 1984, which is the only one national association in oncology in mainland China. CANO, which is under the CACA, was established on March 19th 2015. CACA has always been working on leading the national nursing community in cancer control toward transforming cancer care so as to provide cancer patients with high quality and science-based nursing care. Professor Patsy Yates, Professor Brenda Nevidjon and Professor Winnie So, representing ISNCC, ONS and AONS respectively, participated in the conference and delivered their excellent keynote speeches. They highlighted recent advances in oncology and their implications for oncology nursing, which are globally hot topics. Prof. Yates, who is from ISNCC, brought the participants the scientific and technological advances in oncology over the past few decades. Her presentation leads the audiences to think about what these advances imply for oncology nursing. Precision Medicine has been applied in cancer treatment in many countries as well as in mainland China. Prof. Nevidjon was invited to give her presentation entitled “Oncology Nurses-Innovating Precision Care in a Changing Treatment Environment” at the conference. In her presentation, she gave a clear introduction about the concepts of Precision Medicine and Precision nursing care indicating that oncology nurses are supposed to be well prepared to meet the challenges in the changing treatment environment. AONS is a leading organization of oncology nursing in Asian area. Prof. Winnie So representing the organization delivered a speech named “The Development of a New Perspective of Cancer Nursing through Partnership and Collaboration in Asia” in which she highlighted the priority of collaboration in Asian countries about oncology nursing. During the conference, Prof. Qiang Wan-min, the President of CACA-CANO and Chair of the conference, discussed with the three leaders representing international, regional and national oncology nursing organizations in regard to member development, nursing training and academic exchanges between CACA-CANO and the three organizations. The conference provides a great opportunity and brings oncology nurses in and out of China together to exchange knowledge and valuable clinical experience as well as meet and make friends there. Compared with the oncology nursing in some high resource countries, there is still much space for Chinese oncology nursing to improve. Therefore, CACA-CANO also takes this chance to make a good start to further cooperate with these organizations in order to push forward the development of education and research in oncology nursing in mainland China. 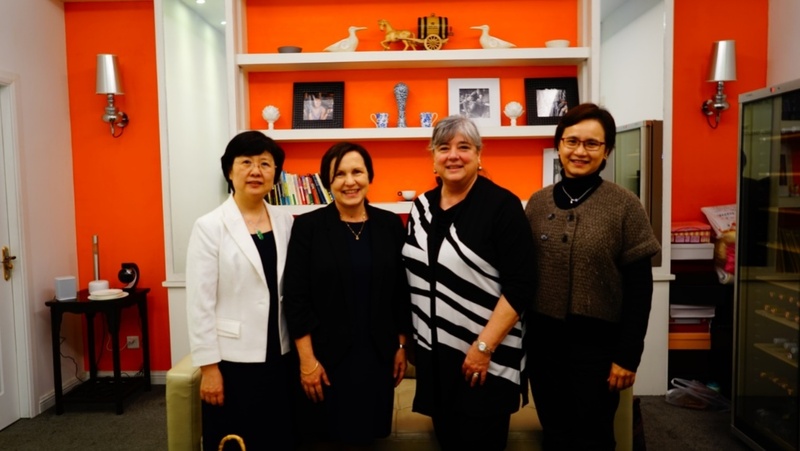 The leadership of CACA-CANO is confident that in the near future, the oncology nursing in China will be much developed to be in line with the international standards and fulfill CACA-CANO’s goal— delivering excellent nursing care to cancer patients and cancer survivors so as to improve the quality of their lives. Let us start from where we are! Photo: From left to right, Qian Wan-min, President of CACA-CANO; Patsy Yates, ISNCC President Elect; Brenda Nevidjon, CEO of ONS; and Winnie So, President of AONS.